Many watch manufacturers, use a serial number system to keep track of when a timepiece was made and to mark its authenticity. If you own a watch, it's possible to find its year of production based on the serial number etched into it. Most of the wristwatches are possible to date if you take a look at the model numbers and serial numbers. But where can you find this kind of information? In this little article we will help you to check the model number and serial numbers of some of the vintage watches that are most in demand. For Rolex and Tudor watches, the model or reference number is located inside the case between the 12:00 hour lugs under the bracelet or strap. The lugs are the holed extensions on the case were the strap or bracelet can be attached with spring bars or fixed bars (used to be common for military watches). This 4-8 digit number is engraved by Rolex on every watch and it can be used to determine its production date. The model number can indicate the model type, bezel, and material of your watch. For example, the reference number 16014 can be broken out into three section, which is 160 | 1| 4. The first, 160, indicates that this watch is a Datejust. The second, 1, indicates that the bezel is a finely engine turned bezel. The third, 4, indicates that the watch material is Stainless w/ 18k White Gold. The serial number for Rolex watches is located at the 6:00 hour lugs. This is a unique number to a specific watch and it can be used to date the watch. While there is no official list, the following chart is an approximation of Rolex dates by serial number. 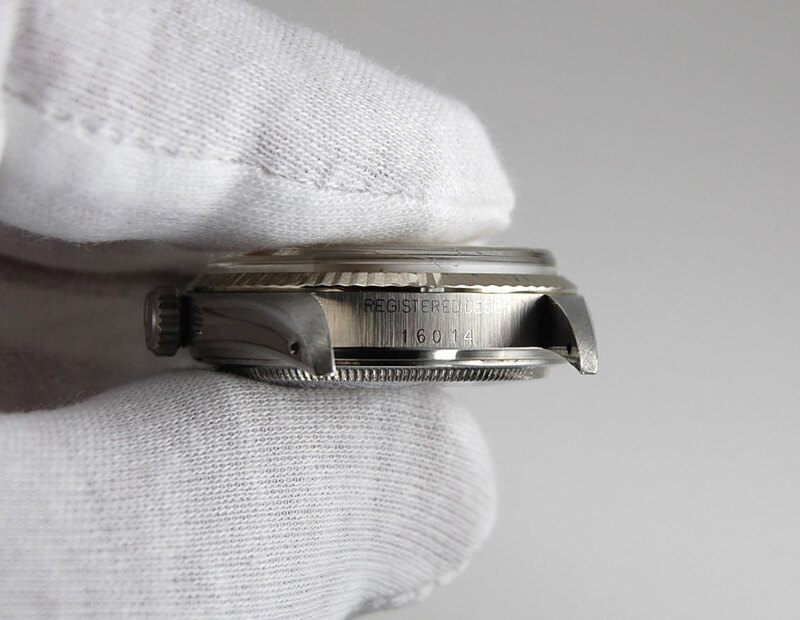 Beginning in 2005, the Company started to also engrave the serial number on the inside flange ( or “rehaut” as it’s called in French ) between the dial and the crystal. Starting in 2008, the Company began to only engrave the numbers on the rehaut. We provide this verified database chart for those folks looking for an answer to an often asked question, "where or how do I find the Rolex serial numbers on my watch." These sets of numbers, for example 28000 for the year 1926 or Z000001 for year 2006, are inscribed by machine on the side of the watch case between the lugs at 6 o’clock (see below). It is very helpful to know the official Rolex production date to help us determine its market value. Many Rolex watches have a clasp code located inside the clasp hinge of the bracelet. This code is based on the month and year the clasp was manufactured. After inspecting the clasp you will see 1 or 2 letters followed by a number. The letter corresponds with a year and the number signifies a month. For instance, per the table below, we see that a bracelet stamped G4 was manufactured in April 1982. A service replacement” bracelet would have an additional “S” stamped along with the year. The table below lists all of the 3 digit country codes for Rolex watches. This country code can be found in the upper left hand corner on the Rolex Guaranty Certificate. There is no country code for the USA and most watches older than 1980 will not have a country code. Omega also has a special service to date the production day of their vintage timepieces. They have created a service for watch enthusiasts who would like to know more about the production history of the Omega products made before 2000. The Extract of the Archives is not a Certificate of Authenticity and does not guarantee the authenticity of a watch or its component parts. The Extract of the Archives contains detailed information from our archives which relates to your watch and how it left our facilities in Biel, as well as the exact production date of the watch. This service costs CHF 120.00 (VAT excl.) per extract, or the equivalent in local currency. The starting point for Omega’ Extract of the Archive is the serial number of your watch. The serial number can be found on the movement of your watch. 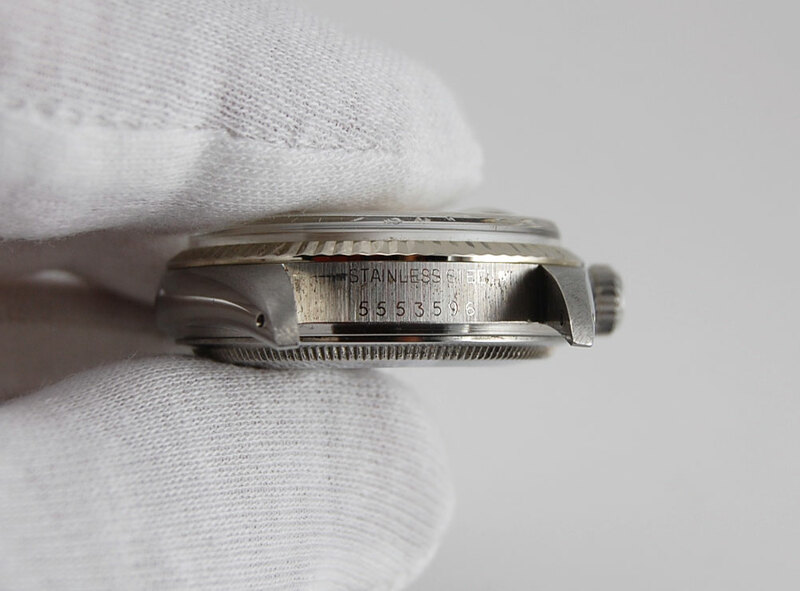 With the modern watches, the serial number is also engraved on the caseback. Of course, you will also find the serial number on the warranty card that came with your watch. For vintage watches however, it isn’t always evident that the original papers are still there.